If you're looking for a family car with a high driving position and a low, low price, then you've found the right page. 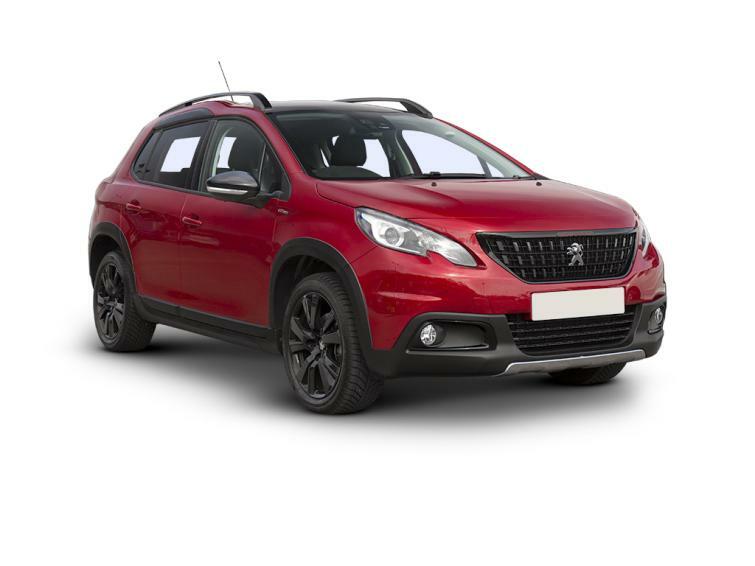 Used versions of the Peugeot 2008 offer excellent value. Five-year old models cost from £6,490 on BuyaCar, while 2018 cars with plenty of warranty remaining start from £9,000 or £134 per month on finance. The Peugeot 2008 is a crossover, which means it’s more car-like than an SUV. That means it’s less heavy and bulky so lighter on fuel but it still has an activity feel and a sizeable helping of practicality and versatility. Its rivals include the Nissan Juke, Renault Captur, Ford EcoSport, Vauxhall Mokka X and Citroen C4 Cactus. Compared with most of these models, in particular the Juke and Cactus, the 2008 is quite conventional and unless ordered in GT Line trim with its aluminium scuff plates and other eye-catching details, looks a lot less adventurous. That said, more powerful models from only the second trim level upwards (that is, Allure) do have Peugeot’s Grip Control system that boosts the car’s grip on slippery surfaces. They come with all-weather tyres, too, so if you live in the sticks or you indulge in occasional mild off-roading, the 2008 may be just the thing. It was launched in 2013 but updated in 2016 when it gained a new nose not unlike its larger 3008 SUV sibling. At the same it got more kit plus more efficient diesel engines. Talking of engines, the 2008’s choice of petrols (called PureTech) and diesels (BlueHDI) is small but perfectly formed. The least powerful is the 1.2 PureTech 82. We’d ignore it in favour of either the powerful 1.2 PureTech 130 or lusty 1.5 BlueHDI 100. This last engine is a great all-rounder but costs around £700 more than the PureTech 130 so you need to do a higher mileage to justify it. Still, being a diesel, you’ll have no trouble selling it on to economy-conscious used car buyers. A word of warning about the gearboxes: the 1.2 PureTech 82 only has a five-speed, instead of a six-speed, manual gearbox. Meanwhile, the 1.2 PureTech 110 and 1.5 BlueHDI 120 are only available with an automatic gearbox, narrowing their appeal considerably. Underway, the 2008 can feel a little fidgety, bouncy and crashy. It’s not the most composed crossover but it does corner securely and thanks to its small steering wheel feels quite agile if, thanks to its soft suspension, a little roly-poly. It’s best on the motorway where six-speed manual and automatic versions cruise quietly and comfortably. Being a crossover means the 2008 has a reasonably spacious cabin although be careful when ordering it with the glass sunroof because it eats into what little headroom there is. Fortunately, there’s plenty of room for tall occupants in the front. The boot is average for the class but can be boosted by dropping the split-fold rear seats, which create a completely flat load floor accessed via a low loading lip at the back. There’s space under the floor, too. Be sure you can get on with the small steering wheel that sits below the instruments, and almost in your lap. Otherwise there’s plenty of equipment to enjoy with air conditioning, a digital radio, good phone connectivity and a colour touchscreen all standard. For the best balance of price and spec go with Allure trim which really smartens the 2008’s appearance, too.